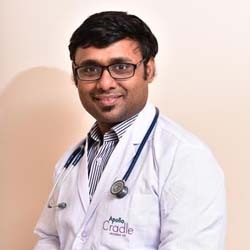 Worked as DNB Nenonatology, Manipal Hospital Bangalore 2009-2012.Worked as Consultant Neonatologist at Cloud Nine Hospital 2012-2015Presently Working at Apollo Cradle 2015-till present. My baby was under the observation of Dr. Mohit. My baby recovered very fast and to the full extent due to the care provided by whole Apollo team. Whether it were the nurses, support staff or housekeeping, I was very happy with the services at Apollo Cradle. They were caring and very friendly. The doctors too are excellent and we wish Apollo Cradle all the best. Everyone in the staff here is extremely professional and quick, and they put the patient\’s needs first. All in all I\’d say, super service, very professional and I am very happy. Everything in this hospital is very good; thank you so much, doctors and all the sisters, who took very good care of me. Thanks. Consulting Dr. Mohit Singhal for my baby at Apollo Cradle Over experience has been Very good. Excellent service &amp care. Thanks to Mohit Singhal @ Brookfeild. Over all Very Good experience.